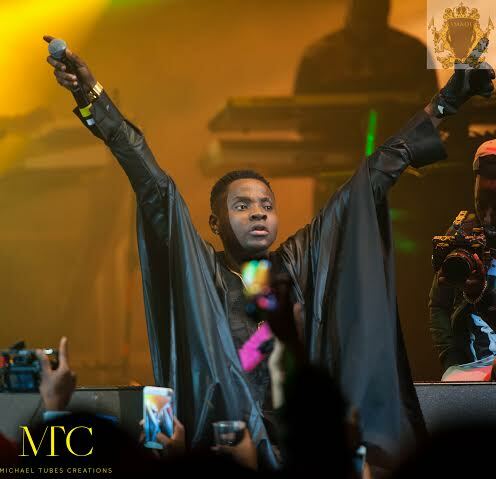 For some, the date March 28th 2016 held no significance, but for lovers of Afrobeats in LONDON, it meant one major thing: the day had FINALLY come for them to witness the musical talents of top Nigerian artists Wande Coal, Kiss Daniel, Patoranking and DJ Spinall at TROXY LONDON; thankfully, we were not at all disappointed. The night kicked off with Award winning Comedian & Event Host EDDIE KADI entertaining the crowd with his notoriously energetic dance moves and setting the atmosphere. UK based Nigerian Afrobeats artist SELIMAX serenaded the ladies with songs ‘Roma’ & ‘Beautiful’ followed by IKE CHUKS – fast rising Artist & member of Britain’s Got Talent Winning Group ‘Diversity’ whose choreography to songs ‘Play like Play’ and ‘Go Low’ was fantastic. 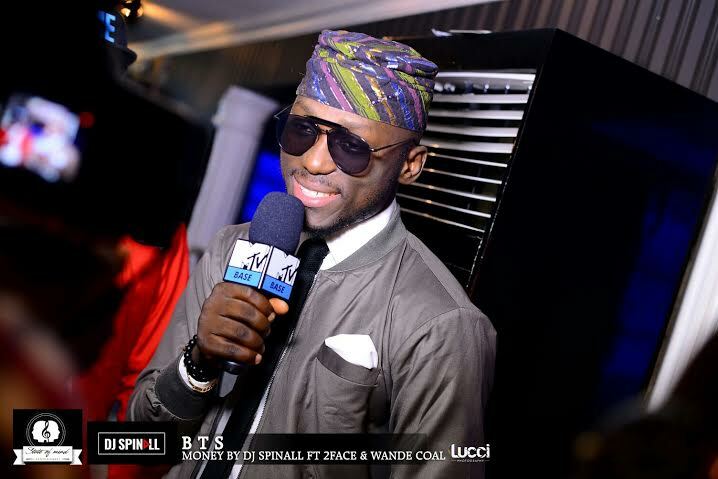 it was time for the lovely DJ SPINALL aka ‘The Cap’ and DJ Neptizzle to hit the stage. 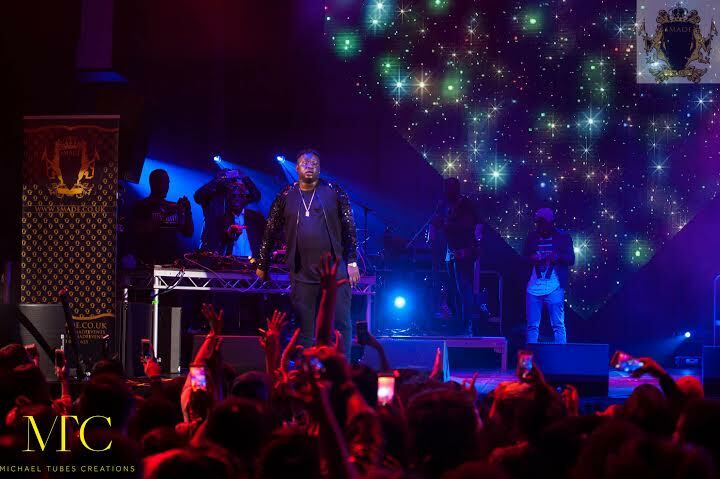 Taking the crowd on a musical journey of some of the most popular Afrobeats, Trap, Reggae and R&B songs – he indeed proved that he can spin all the hits we know and love. 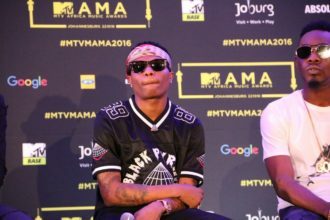 Mega Producer / Artist MALEEK BERRY announced that it was time to ‘turn the lights down’ and proceeded to give a very sultry performance of ‘Work’ (Rihanna Refix) and ‘For my People’. With the audience’s appetite now fully whetted, everyoneeagerly awaited the main event. Fresh from touring the United States & Nigeria, the live band of the night ‘THE COMPOZERS’ were, in my honest opinion, musical perfection – performing a vast number of instrumental versions of well known songs before introducing the ‘Black Diamond’. 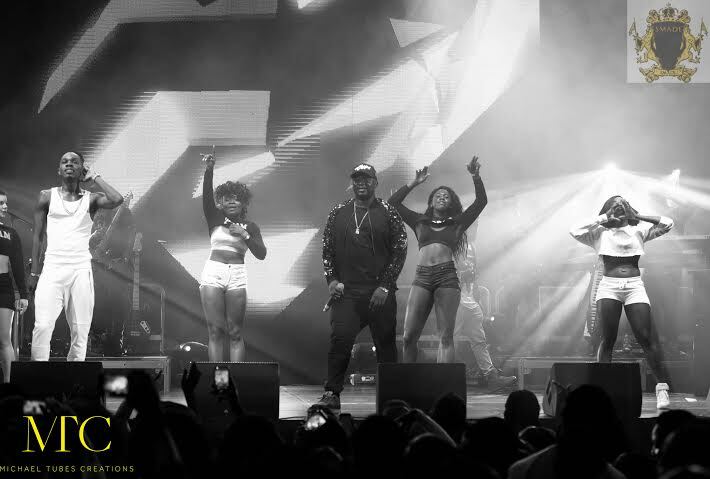 Surrounded by special effects smoke which created a heavenly visual, WANDE COAL came out onto the stage singing hit ‘Ololufe’ ; instantly captivating everyone with his sweet vocals and dynamic delivery. Sounding exactly like your recorded track whilst singing live is not easy; I’m a singer so I know. Egbon Wande: I hail Oo – you get 2 thumbs up from me Sir. Other hits performed included ‘Monster’, ‘Bumper to Bumper’, ‘Rotate’ and ‘You Bad’ amongst others. Next to grace the stage was baby faced KISS DANIEL. Wearing a stylish black agbada and single black glove on his left hand (reminiscent of a young Michael Jackson) and accompanied by UK Based artist MOELOGO, ‘Laye’, ‘Woju’, ‘Raba’ and ‘Good Time’ were some of the electrifying songs we were treated to. 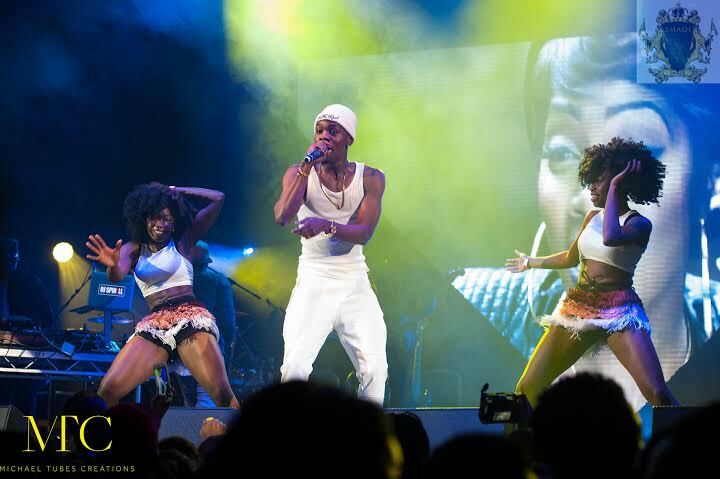 Last but certainly not least came PATORANKING, whose theatrical entrance was outstandingly creative. 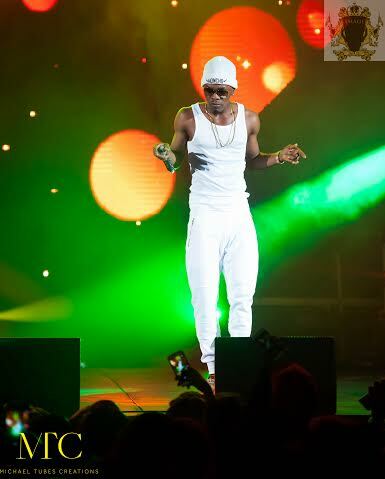 With high energy renditions of ‘Girlie O’, ‘Daniella Whine’ Bob Marley classics ‘No Woman No Cry’, ‘One Love’ and hit ‘My Woman’performed with Wande Coal, it is clearly evident why this young man has risen so quickly in the music scene. With the finale featuring a spectacular multi-coloured confetti explosion into the crowd, the event gets the rating of a solid 10/10. If you missed the first SMADE AFROFEST sold out event, you missed out in a major way but don’t worry –judging by the success of this one, there will be many more for you to attend in the very near future. Until next time – oya shokiiiii.